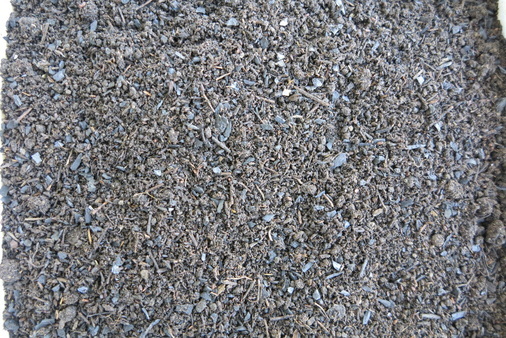 Biochar is a Valuable Soil AmendmentThis ca. 2000 year-old practice converts agricultural waste into a soil-enhancer that can hold carbon (carbon sequestration), boost food security, increase soil biodiversity and discourage deforestation. The process creates a fine-grained, highly porous charcoal that helps soils retain nutrients and water. Biochar is found in soils around the world as a result of vegetation fires and historic soil management practices. Intensive study of biochar-rich, dark earths in the Amazon (terra preta), has led to a wider appreciation of biochar’s unique properties as a soil enhancer. Through it’s porous structure, Biochar acts like a sponge, increasing soil-retention of water and nutrients, thereby improving soil fertility and preventing nutrients (or agrochemicals) from leaching into groundwater. The carbon in biochar resists degradation and can hold carbon in soils for hundreds to thousands of years. Biochar is produced through pyroysis or gasification – processes that heat biomass in the absence (or under reduction) of oxygen. In addition to creating a soil enhancer, sustainable biochar practices can produce oil and gas byproducts that can be used as fuel, providing clean, renewable energy. When the biochar is buried in the ground or mixed into compost as a soil enhancer, the system can become “carbon negative”. Here at Wastenomo we combine rich compost and worm-castings with EM (Effective Micoroorganisms) inoculated biochar –TerraBeta, in carefully calcultated ratios for specialized purposes, mimicking natural soil-succession.